This year in the programme of one of the oldest and biggest film events in Europe - 62nd BFI London Film Festival - we can find two Polish short productions: a documentary film "Volte" and an animation "Oh God!". Each year BFI London Film Festival presents the latest productions from all over the world - fiction, documentary and animated films. The programme of the upcoming 62nd edition of the festival includes over 300 titles. Apart from film screenings, the festival organizes numerous other events: panel discussions, master classes, interviews, industry meetings and workshops. There will be a few Polish accents at this year's BFI London Film Festival. In the out-of-competition section "What's My Age Again?" we will see "Volte" by Monika Kotecka and Karolina Poryzała. 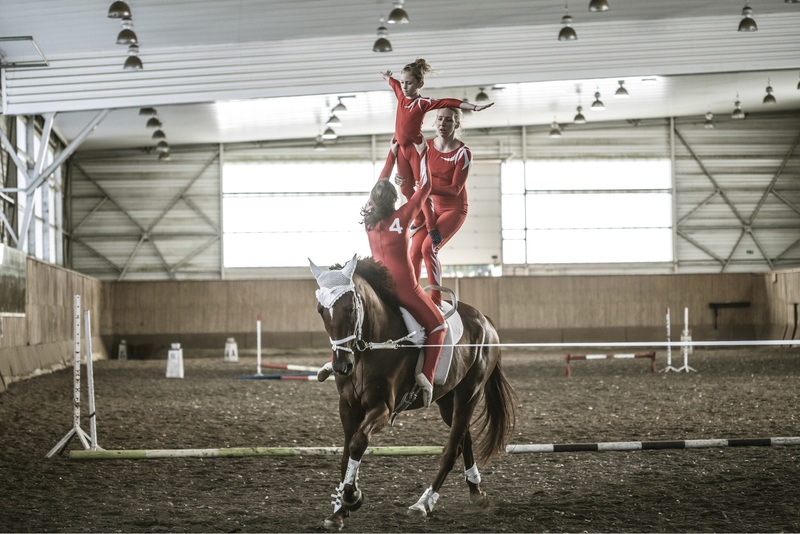 The film shows a story of a 12-year-old girl Zuzia who has been training to vault for two years and has an extraordinary role topping the acrobatic pyramid. 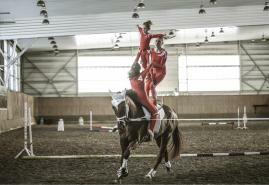 She is "the flyer" lifted by the stronger and more experienced vaulters - "the base". Another intensive season begins. During training sessions it becomes apparent that the girl has lost some of her grace and lightness. At first, the coach blames "the base" but they admit that Zuzia is too big to lift. It became clear that she's grown and her role is given over to a younger girl. Betina Bożek's animation "Oh God!" was invited to "Amazing and Astounding" section. The reality presented in the film "Oh God" might be described using such terms as inertia or chaos. The characters are not willing to take any action, they are passive and indifferent, unable to create their own reality. The author presents a world that loses its original shapes, loses its identity. Groaning “oh God” as the main theme combines it all: grimace, sigh and a quiet whisper of despair over our own impotence. BFI London Film Festival will take place October 10th - 21st. More information about the festival: www.bfi.org.uk/lff.